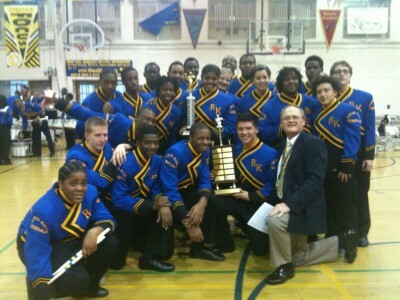 MILWAUKEE – The returning champion Rufus King International School drum line will take on challengers from Audubon Technology and Communication High School, Bay View High School, Ronald Wilson Reagan College Preparatory High School and Riverside University High School in the 10th annual Milwaukee Public Schools High School Battle of the Drum Lines. The competition, which is open to the public, is set for noon on Saturday, December 1 at Rufus King, 1801 W. Olive Street, Milwaukee 53209. Four judges will evaluate the drum lines on musicianship, technique, musical/visual content, repertoire and showmanship. Winners take home a trophy – and bragging rights.